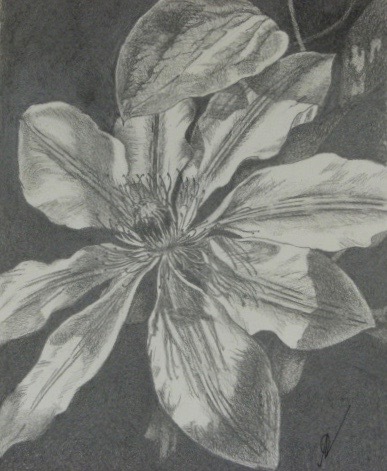 This is an unframed pencil drawing of a Nelly Moser from a photo I took. The photo inspired me to pick up my paints as it was so striking and clear. I wanted to see if I could capture the strength of the photo in pencil. This drawing is on a cream / off white paper and is 24cm x19cm, (9.5" x 7.5”).